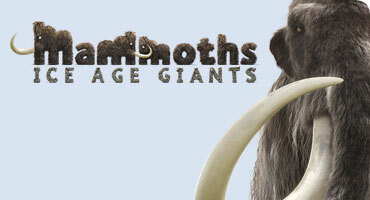 LONDON, 2014-5-21 — /Travel PR News/ — This summer, the Natural History Museum brings Ice Age Giants to London. The monumental Mammoths: Ice Age Giants exhibition offers visitors the chance to get up close and personal with some of prehistory’s best known species. The Natural History Museum is located nearby to a number of other top attractions and London hotels, many of which are bookable through LondonTown.com. Mammoths: Ice Age Giants is a journey through the lives of some of the largest mammals ever to roam Planet Earth. Through a combination of cutting-edge science, original skeletons, and life-sized models the exhibition brings to life creatures that have been extinct for thousands of years. Visitors will get the chance to explore the lives of animals like the woolly mammoth, the giant short-faced bear and the sabre tooth tiger. Other colossal creatures on display include the dwarf mammoth and the mastodon. Pride of place is taken by a 37,000-year-old baby mammoth called Lyuba (pronounced Looba). Lyuba is the most complete woolly mammoth ever found and is on display in Europe for the first time. Visitors can learn about the environment of these giants and discover what it was like to be a mammoth, as well as take part in tusk jousting, trunk swinging and feel the weight of food consumed by these colossal creatures. The exhibition also showcases the latest research into extinction and the conservation of the mammoth’s threatened cousin, the modern day elephant. The exhibition will run from 23rd May to 7th September and ticket prices are £10 for adults, £28 for a family. Children and concession tickets are £6 and members, patrons and children under 4 go free. Visit LondonTown.com for more information on this mammoth London event. This entry was posted in Arts and Culture, Attractions, Entertainment, Festivals and Events, News, Recreation, Travel and tagged 37000-year-old baby mammoth, dwarf mammoth, giant short-faced bear, Ice Age Giants, Ice Age Giants exhibition, London, mammoths, mastodon, sabre tooth tiger, The Natural History Museum, woolly mammoth. Bookmark the permalink.